BLYTH is a Hi-8 video about a myth of transcendence. 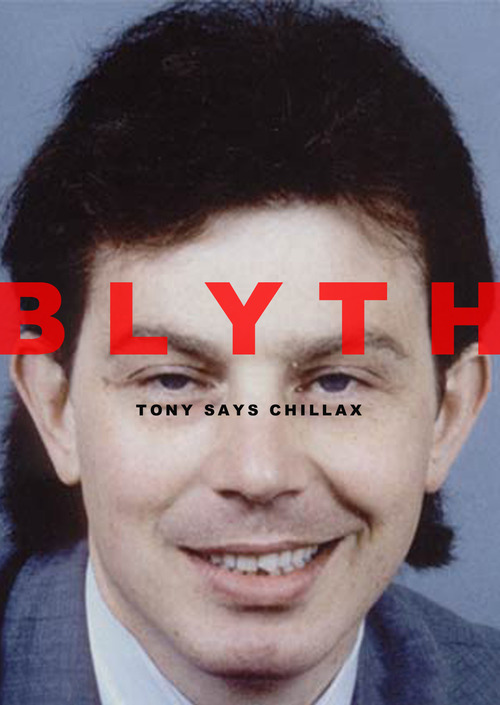 Retrogressing to a time of foolhearted optimism nurtured by an aspirational government, BLYTH is gently satirical and obliquely humorous in its parodying of another new era we were apparently swaggering into. With Northern Britain finding itself at the mercy of a new age of austerity, BLYTH reminds us of an optimism now consigned to a recent past, and represented here in a haze of video noise. This is a comment on the fluctuating identities of those living in post-industrial regions, with the advantages of current hindsight serving to contextualise a perhaps careless, over optimistic decade sometime previous. Through it’s soundscapes, locations, and dialogue, BLYTH exhibits film making of an ambient approach, whilst showing a vision of Englishness that sits outside the status quo. The video is ponderous, atmospheric, and resonating with a social commentary akin to the works of Owen Hatherley, Michael Smith, Simon Roberts and Martin Parr. This is a peripheral England, shown in a way that adheres to that great British tradition of satire.